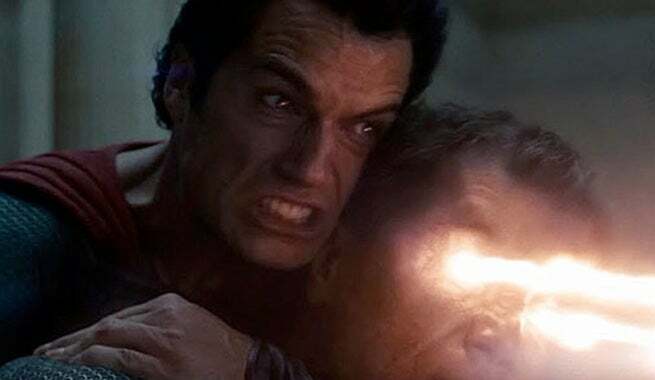 One of the, if not the single most, controversial moments in all of comic book movie history came in 2013 when Superman made the choice to kill General Zod towards the end of Man of Steel. Man of Steel writer, David S. Goyer, has finally spoken publicly about the decision making process to have Superman kill. "The way I work, the way Chris [Nolan] works, is you do what’s right for the story," Goyer told Nerdist. "That exists entirely separately from what fans should or shouldn’t think of that character. You have to do what’s right for the story. In that instance, this was a Superman who had only been Superman for like, a week. He wasn’t Superman as we think of him in the DC Comics...or even in a world that conceived of Superman existing. He’d only flown for the first time a few days before that. He’d never fought anyone that had super powers before. And so he’s going up against a guy who’s not only super-powered, but has been training since birth to use those super powers, who exists as a superhuman killing machine, who has stated, ‘I will never stop until I destroy all of humanity.’ If you take Superman out of it, what’s the right way to tell that story? I think the right way to tell that story is if you take this powered alien who says, ‘You can have your race back, but you have to kill your adopted race,’ the moral, horrible situation to be in is to actually be forced to kill, not wanting to, the only other person from your race. Take Superman aside, I think that’s the right way to tell that story." Goyer makes valid points here. Does hearing the mind behind Man of Steel's perspective on Superman killing Zod make you feel a bit better about Superman's choice? Superman will return in Batman v. Superman: Dawn of Justice on March 25, 2016.